REPUBLIKA.CO.ID, JAKARTA – The 72nd Anniversary of the Republic of Indonesia was enthusiastically welcomed by all employees of Artha Graha Network (AGN) and Artha Graha Peduli (AGP) in the Sudirman Central Bussiness District (SCBD) by raising the flag of Merah Putih simultaneously in AGN business units ,Thursday (17/8). According to AGP Executive Chairman Heka Hertanto, AGP wants to continue to maintain the culture as one of the multinational private companies who love NKRI (The United Country of the Republic of Indonesia). “Carrying the theme of the government of “Indonesia Cooperate” we invite the whole community and all relatives Artha Graha Peduli to continue fostering the spirit of independence, Promoting diversity, embracing each other to create cooperation without distinction between racial and religious elements for a more prosperous and justice Indonesia, “Heka said. 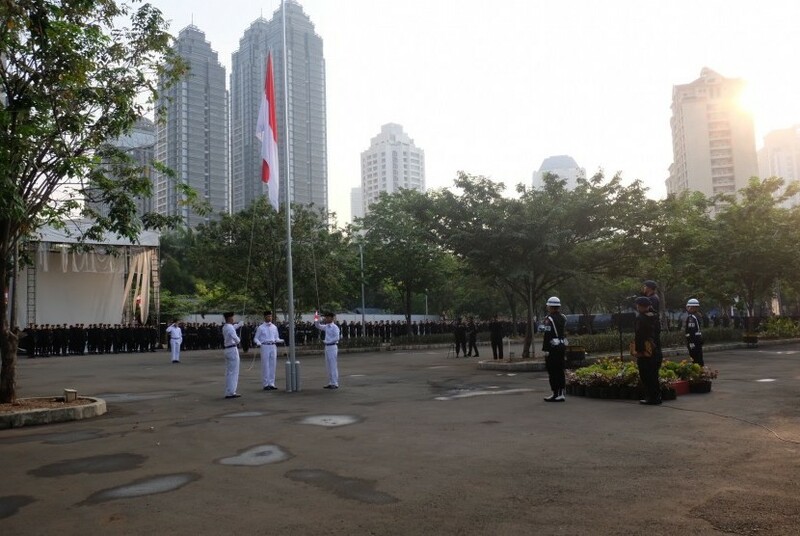 Meanwhile, the splendor of independence were seen in every corner of the SCBD area were decorated banners, v-banner and flag, symbol ornament Pancasila and the Indonesian archipelago from Sabang to Merauke.